It’s been awhile since I sat down and picked a comic titled the Incredible Hulk. So what drove me back to the book? Well, Marvel Legacy. With the branding, Marvel decided to renumber their books back to where they left off. Of course this book isn’t the Bruce Banner Hulk. It’s the Totally Awesome Hulk. Amadeus Cho has been the Hulk for some time now. He is having a bit of a problem. He goes berserker when in the Hulk form. Sounds familiar, huh? Cho had been fully in control of the Hulk form but it looks like it’s creating a split personality beyond his own. Banner went through this too. Must be a thing that gamma radiation does to a fella. 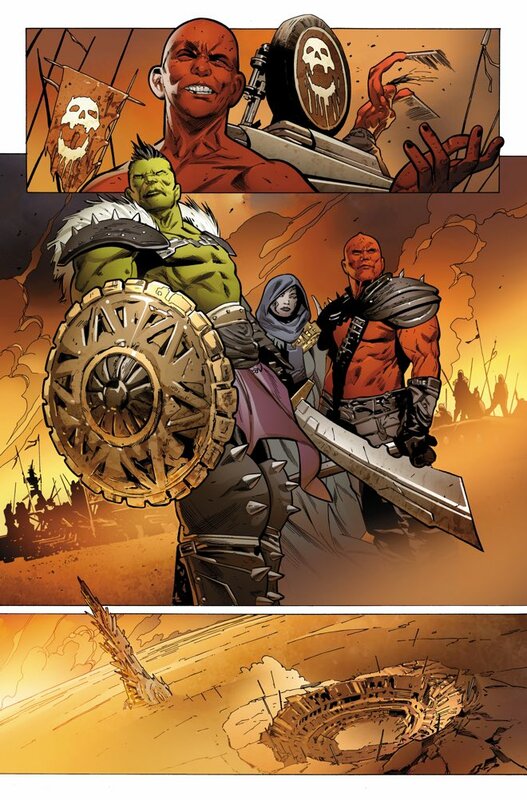 Regardless, he decides to head to Sakaar to help the inhabitants that were originally freed by the old Hulk. Cho sees this as his calling since he wants to be needed. I guess it feels like Greg Pak is rehashing an old story or it’s a Marvel thing, but this is a different Hulk so it’s not so different. Cho treats his threats differently than the old Hulk and it is quite refreshing. Greg Land’s artwork is still spot on in my opinion. Regardless of what you think about Greg using other sources for his art, he still has to put the characters into an appealing space for the reader. I would say if you’re a long time Hulk fan this is a good point to jump back in and see what has made this new Hulk so interesting. Auntie Agatha’s Home for Wayward Rabbits Coming Soon from Image Comics!